Peeled Plum Tomatoes in Tomato Juice. Whole Tomatoes! 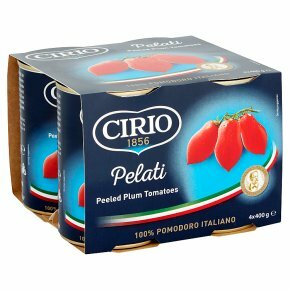 Our naturally sweet plum tomatoes are typical of Southern Italy, and are blanched, peeled, and immersed in a rich tomato sauce. Great for breakfasts and slow-cooked, meat or fish dishes.